IELTS is the world’s most popular internationally recognised English language test, accepted for study, work and migration. IELTS (International English Language Testing System) assesses all four language skills – listening, reading, writing and speaking – in the context of real-life use of English. 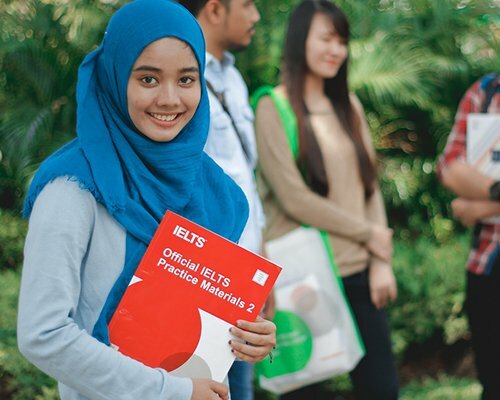 IELTS is available in two versions: the IELTS Academic module and the IELTS General Training module. The results are based on a 9-band scale. At IALF, you can sit all four modules on the same day, starting with Listening, Reading and Writing in the morning, followed by the Speaking test in the afternoon. Each skill is tested separately. You will take the Listening (30 minutes), Reading (60 minutes) and Writing (60 minutes) tests all on the same day one after the other, with no breaks in between. At IALF, the Speaking test (11-14 minutes) is usually held on the same day as the other three tests, but it may be arranged up to seven days before or the day after. The total test time is 2 hours and 45 minutes. Which version of the IELTS test should I take? The version (Academic or General Training) depends on why you are taking the test and your plans for the future. It will depend on your visa or on the requirements of the institution where you plan to study or work. measures English language proficiency in a practical, everyday context. You may choose IELTS General Training if you want to study or train in secondary education or join a training program. The General Training module is often used for immigration purposes, as a visa requirement if you are planning to migrate to English speaking countries, including Australia (DIAC), Canada (CIC) or New Zealand (INZ) and UK (UKBA). For IELTS Test Schedule & Locations please click here. Off-site tests can also be arranged for special groups of 12 candidates or more. Please Contact IALF if you would like us to conduct an IELTS test at your institution. How can I apply to take the test? Please register early to ensure you get the test date that you require. The IELTS test is in high demand and some test dates are already full. Please note that your registration for an IELTS Test is not confirmed until payment is received. For further details, please select your preferred test venue from IELTS Test Schedule & Locations. Registration time: 7.30am - 8am (depending on the venue). Candidates arriving late will not be allowed to sit the test. You must bring the Original ID you quoted on the application form. Candidates who fail to present their original ID as quoted on their application form will not be permitted to sit the test and will not receive a refund. The speaking test is conducted at the same venue and on the same day as the Listening, Reading and Writing modules, saving you two journeys for one test. IALF offers an extensive range of IELTS Preparation courses at each of its centres. For more detailed information on IELTS Prep courses, click here. 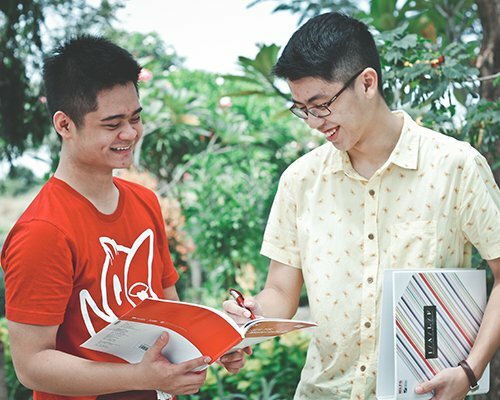 More than 9,000 institutions and organisations worldwide accept IELTS results as a trusted and valid indicator of ability to communicate in English. These include universities, colleges, professional registration bodies, employers and governments. IELTS is the preferred test in Australia and the UK and many European countries, and results are accepted by more than 3,000 institutions and programs in the USA. IELTS is the only English language test where your Speaking test is one-on-one with an examiner in a private room where you will not be interrupted by other test takers. No computers, no technical problems and no distractions. The test was taken by more than 2,200,000 candidates in the last 12 months.